Pregnancy toes are really swollen feet and swollen toes. The name stuck in my mind because one of my daughter-in-laws is pregnant and I was sent a photo from her winter vacation in her flip flops in the snow and winter coat—she was not able to put her boots on because of her swollen feet (swollen even in the cold!). I reached for my salt pills that I use for my migraines as do all members in my migraine group on Facebook and handed her one. I really should have photographed what happened but I did not think the effect was going to be so fast and so big. Less than 15 minutes after she took the salt pill and a glass of water, her toes went back to normal. We ended up laughing it away. Had she known this, she could have worn her boots in the snow after all! The above means glucose (part of sugar) and sodium (part of salt) are in inverse relationship. As you increase sugar, salt drops and water is sucked out of your cells by sugar like a giant Slurpee machine. The water then collects on the outside of your cells rather than the inside, thereby dehydrating your cells and at the same time make your body swell. Edema is often associated with too much salt, but in fact, it is too much sugar. Being always thirsty is associated with Type 2 Diabetes but it is also associated with not having enough salt in the body since without salt the cells cannot get hydrated. In light of this fragile balance between sodium and glucose in the blood, are we treating pregnancy edema, gestational diabetes, and other maternity complications, the way we should? Consider that with pre-eclampsia (gestational hypertension), women are told not to eat salt. You can see what happens when we reduce sodium: glucose increases and we also induce an ionic imbalance. This ionic level imbalance is visible (like the swollen toes) and may lead to further complications. There are two problems that we are facing here: first if she does not eat salt, her sodium-potassium pumps cannot work–this may cause migraines and headaches as I often see in my migraine group. Secondly, as you saw the fragile balance between the see-saw action of glucose and sodium, if she stops eating sodium her glucose may increase, causing swelling. This is an interesting theory to ponder – one that merits research. Salt breaks up in the body into sodium and chloride. Sodium attracts water and holds onto it inside the cells. It keeps chloride outside of the cells to ensure proper voltage and electrolyte balance with the aid of potassium. When you eat sugar, the glucose part of it removes the water from the cells via osmotic channels that are too narrow for the sodium ions to exit. Thus, one ends up with a ton of water outside the cells with sodium inside hugging a tiny amount of water. Swelling occurs as the water leaves the cells but remains between cells. If you feel swollen after eating sweets, you need to eat salt and drink a bit of water to reduce your swelling. If you have Type 2 Diabetes or are hypoglycemic, eating a salty meal can give you a major sugar crash and land you in the hospital! Eating sugar of any quantity will dehydrate your cells and you and make you run to the toilet every 30 minutes. Because glucose takes water out of the cells, the edema that follows increases extra-cellular water and causes swelling in the body. This extra-cellular water needs to be reabsorbed into the circulation for the kidneys to be eliminated. To be reabsorbed, sodium is necessary since without sodium, the cells cannot operate their voltage gated sodium pumps and so the gates cannot open to grab glucose to take it into the cells and to get the water back into the cells. I think you can already see the contradictions in the logic of reduced salt: the mom-to-be is told to not eat salt, this causes extra-cellular water and swelling, which needs salt to be reabsorbed into her cells for clearance by the kidneys but which she is not allowed to eat. This way ionic level balance is not possible and chain reactions may occur with negative consequences. 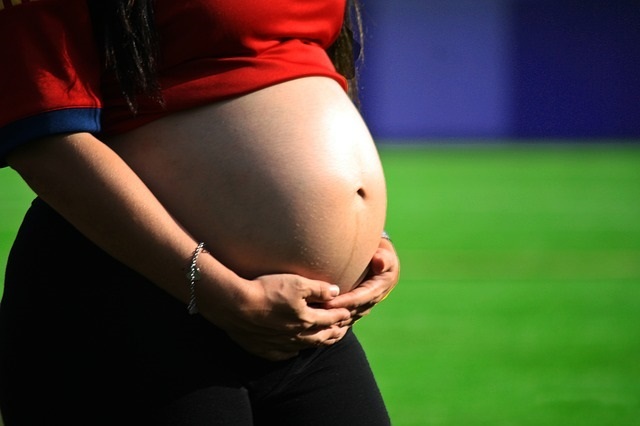 She may have protein leaching into her urine, extra hard kidney work, and a whole other long chain of complex events may kick in to make pregnancy a rather unpleasant experience risking the health of the fetus. The amount of extra-cellular water is very hard for the body to get back into circulation without salt and may take days, taxing the kidneys with the volume of water leaving and increasing pressure on the blood vessels from the outside, causing high BP. However, as the volume of water is leaving the body finally, this reduces blood pressure. When a pregnant woman’s blood pressure drops as a result of all that water leaving, the dehydrated blood cells carry less oxygen. This indicates reduced oxygen for both her and the baby. By telling mothers to reduce salt intake, glucose increases, which increases blood pressure (BP) rather than reduces it. The similar phenomenon happens in gestational diabetes. In gestational diabetes (and gestational hypoglycemia as well) the sugar level is unstable and is either too high or too low, respectively. Should the mother-to-be eat a salty pickle (as cravings always dictate pickles), she may end up in a major sugar crash and in the hospital for immediate treatment. The balance between sodium and glucose is very fragile and extremely quick changing as you could see on my daughter-in-law’s foot. 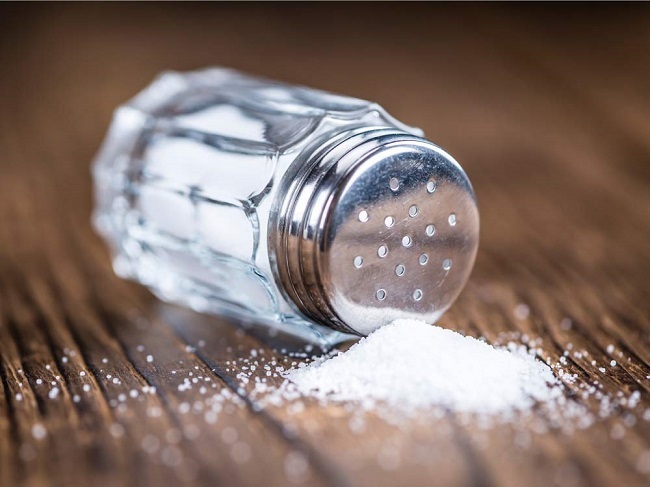 Interestingly we now also know that salt does not increase blood pressure but sugar does and so a reduced salt diet automatically increases blood pressure because of the glucose and sodium inverse connection and sugar’s dehydrating properties. Reduced salt also increases triglycerides (Graudal, 2011), causing a lot of problems for people with preexisting heart conditions. So by reducing the salt intake of the mothers to be, are we creating diabetic mothers and/or babies? Babies have been born with diabetes 2! Is it possible that we are giving the wrong advise to pregnant women about salt and sugar? It’s an interesting question to pose and further research is badly needed. Knowing that salt and sugar are in inverse proportion in the blood, one may suggest eating them together. In fact, eating them together is a much better idea than eating sugar alone. It is best to not eat sugar at all but if you must eat sugar, consider eating salt too. Effects of low sodium diet versus high sodium diet on blood pressure, renin, aldosterone, catecholamines, cholesterol, and triglyceride. Graudal et al., Cochrane Database Syst Rev. 2011 Nov 9; (11). This article was published originally on Hormones Matter on February 15, 2015. Good Morning. I would like to understand a concept mentioned by you in this text. As far as I know, water retention is caused by the fact that it is not reabsorbed into the bloodstream and, as a consequence, is largely eliminated through urine. Eating more salt to “hold the water inside the cells” would do just that. So, I see no point in your proposal to add more salt to combat water retention, but, I would try to understand. Does the relationship between salt and water retention that I described above be wrong? Thanks David for your question. Yes, there is a bit of misunderstanding there. You are not at fault though, most medical professionals get this backwards–perhaps wrong teaching methods, since it is clear in most textbooks. What you describe is edema. Edema is water that is unable to be absorbed back into the blood stream and it is also unable to be eliminated without being reabsorbed by the blood. The kidneys filter blood and have no access to extracellular fluids–such as water from extracellular compartments. Those fluids must find their way back into the blood. Salt pulls the water back into the blood. Adding salt to your water as hydration achieves 2 things. (see Harrison’s Manual of Medicine, 18th edition, page 4). The water expelled by glucose ends up as edema. Migraineurs, and anyone else can, use salt to move water back into the blood to be eliminated. 2) Drinking water and taking salt increases blood volume. Hydration means increased electrolyte and increased blood volume (without increase of red blood cells and other things) is increase of electrolytes. The proper hydration is always with salt. In California, where training outdoors often means amazingly high temperatures, it is customary to have athletes drink salt-brine pickle juice during and after outdoor training. Salt also prevents or stops cramps. Milk is another top hydrating drink that has yet to catch on in the US but it is used in Australia. Ive repeatedly have noticed that sugar and salt cause my feet to swell and my knees to hurt. I also notice walking round the block or down stairs helps keep me limber in my joints. I never really understood why eating sugar swells up my feet as does salt. Another thing i notice that affect my feel is pop both normal and diet…is that possible. Im a 4o year old man and am obese but workin on weight loss. Thanks for your comment. Indeed, the same goes for men and women who are glucose sensitive–and it seems most are. It seems like you are too. However, you are not applying the salt right. After sugar consumption, just take salt and only enough water to get it down–like 1 sip. That is because glucose removes both water and sodium from your cells. So by returning sodium to the cells, the sodium will pull the water back from your edema. So there is no need to drink more water. 🙂 In fact, drinking water after sweets causes worse edema. In terms of obesity, lots of studies have found that the key component driver of obesity is carbohydrates, in general, not just sugar but all carbohydrates. So read up on some of the articles here on grains, starches (like potatoes, cereals, breads, rice, corn, etc.,) and reduce (or better yet, quit) all of those as well, not just sugar or sweetened foods/beverages. For a glucose sensitive person, all carbohydrates deposit as fat and there is no way out of that other than stopping to eat all sweeteners and starches (grains are starches). There are many low carbs high fat groups on Facebook that you can join to learn how, or read up on what it means. You should talk to your doctor about its health aspect–though your doctor is not going to be able to help you with nutrition, he/she will be able to assess your health condition with respect to your heart and how a change of diet may affect you. Oh my goodness – so glad I found this! My first pregnancy I worked out consistently and didn’t eat many calories. However, I had a high sugar intake. At 8 months I had “gained” 50 lbs (so so swollen), but didn’t think too much of it because my fit mother had warned me that she had gained 40-45 lbs of water with each pregnancy. Shortly thereafter I was sent to delivery with severe pre-E. Asked multiple docs if it was possible there was a relationship to high sugar intake. The response was “no, you aren’t obese” and “there’s only a relationship to gestational diabetes” which didn’t sit quite right. This pregnancy, in addition to a daily baby aspirin I decided to implement a low-carb (keto) diet when I had started gaining more rapidly than I wanted. Now with less than a month to go I’ve only gained 17 lbs and the only time I’ve seen swelling is after “cheating” with simple carbs/sugar. I couldn’t think of why that may be until I googled your article. You have a believer in me!! I appreciate hearing the science behind it and it has convinced me to stick to my regimine through delivery. Thank you! I was going to ask you about that baby aspirin. Not sure you know that there is an FDA warning on that. I don’t know your health condition–nor do I suggest that you stop–only want to be sure you know that as per the FDA aspirin cannot be used as a first line preventive for heart attack or stroke because it causes more damage than good. And even as a secondary (meaning after one had a heart attack or stroke) it can only be used in combination with something else. In addition it helps women only in preventing further strokes–it does nothing for the heart in women. Here you can see the FDA letter response to Bayer (makers of Aspirin) and also you find a link there to the FDA’s official announcement. Fantastic analysis! thank you very helpful! Is there a brand of salt pill that you recommend? I’m not finding any over the counter at stores so I’m going to order online. I actually just use iodized table salt. I do not believe in any conspiracy theory about salt about the purification process being unhealthy since we only use sodium and chloride form and nothing else so no need to decorate it with minerals; we get those from food and we typically eat salt with food. The anti-caking agents in salt are the same as in flour, in cheese, and in just about everything else we eat so not sure what the big fuss is about. The dextrose you find in salt is minuscule and is keeping salt from getting wet–sugar collects water real good, which you have probably seen if you ever bought packaged sugar and in a week after you once opened it, the whole box/bag is one giant sugar piece. If you are not sensitive to iodine (no Hashimoto’s or Grave’s disease) I recommend you prevent goiter and under-active thyroid by eating iodized salt or if you pick a salt without iodine, supplement your iodine need (150 mcg for a typical woman (gender and age dependent). Side note: there are many people who choose various salts that are now fashionable. Those are exactly the same salt as far as your body is concerned. Purified salt has been used for a long time. I have been eating it all my life and though I am senior, I am the only one with no thyroid problem around the females I know, who eat designer salts. I suppose the choice is yours: eat iodized salt for life and stay healthy or end up taking thyroid hormone replacement pills later and for life if you pick the designer salt. I prefer the first option. Also, some salts, such as the Himalayan salts, are full of toxin and radioactive materials that build up in your body as heavy metals and radiation over the years. I by now have met many people hurt from that salt courtesy of my article on it a few months ago. Don’t fall for the hype, health is more important and think long term and into the future! As for the minerals: eat healthy wholesome nutritious food.